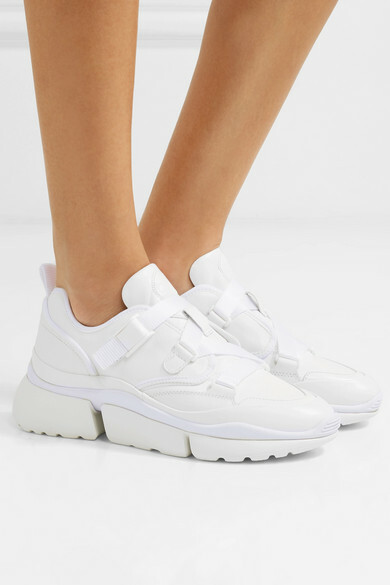 Natacha Ramsay-Levi debuted her first pair of Chloé sneakers last season and they were instantly adored - that's why the Creative Director updates them for spring in a fresh white hue. 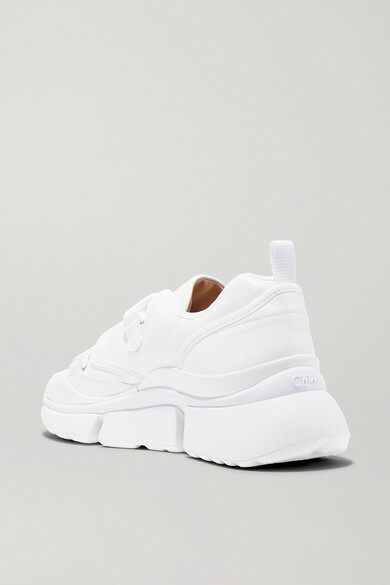 Inspired by retro running shoes, this pair is constructed from soft leather and canvas and set on a futuristic split sole developed by a specialist to allow for flexibility and comfort. 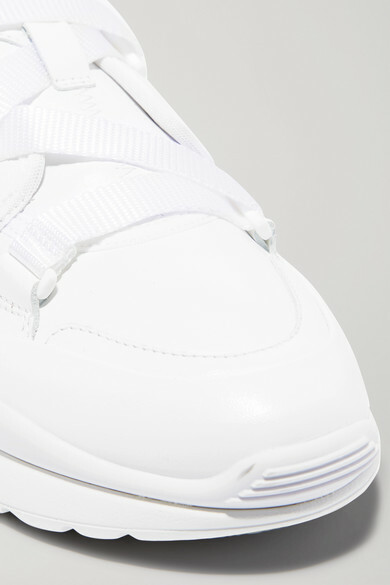 The crossover buckled strap sets them apart from more classic styles. Shown here with: Marques' Almeida Dress, Chloé Shoulder bag, Kenneth Jay Lane Earrings.